Trump called the person detailed in the sketch a "nonexistent man." 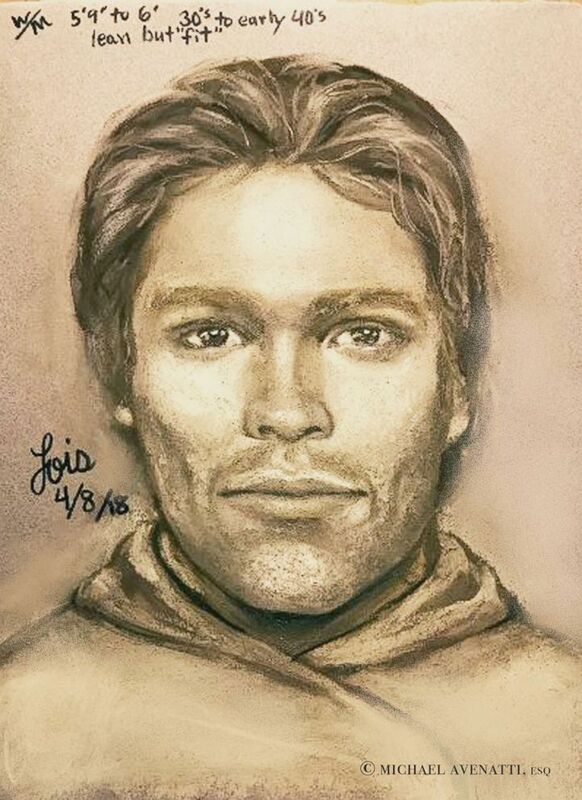 In his first ever Twitter acknowledgement of a claim made by adult actress Stormy Daniels, President Donald Trump circulated a composite sketch early Wednesday morning of a man she said threatened her to keep quiet about the affair, calling it a "con job." Trump called the person detailed in the sketch a "nonexistent man" and said it was a "total con job, playing the Fake News Media for Fools (but they know it)!" The account he retweeted is unverified and appears to belong to a woman in Scotland, according to the Twitter bio. The Twitter user initially tweeted at the president that the sketch looked like Daniels' ex, in response to an earlier tweet the president posted about California and border security. The adult film star, legally named Stephanie Clifford, says she had a sexual encounter with Donald Trump more than a decade before he became president. Trump's longtime personal attorney Michael Cohen has admitted he paid Daniels $130,000 in 2016, weeks before Trump was elected president. In a statement to ABC News in February, Cohen said it was a private transaction using his "own personal funds." The president has continued to deny claims of the affair. Aboard Air Force One earlier this month, he also denied knowing anything about the payment Cohen made to Daniels. 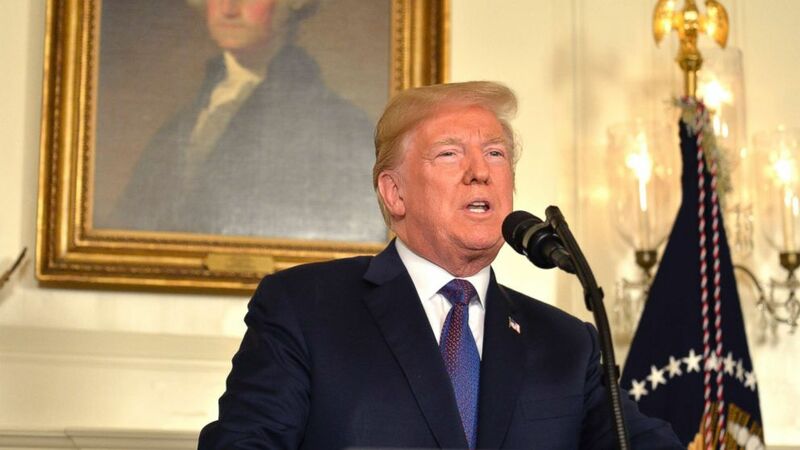 (Mike Theiler/Pool/Getty Images) President Donald Trump makes remarks as he speaks to the nation, announcing military action against Syria for the recent apparent gas attack on its civilians, at the White House, on April 13, 2018, in Washington. Daniels and her attorney, Michael Avenatti, first showed the sketch on "The View" Tuesday morning. They offered a $100,000 reward for information leading to identification of the man that they said threatened Daniels. Avenatti later tweeted that they increased the reward to $131,000. Daniels described the a man, who allegedly approached her in a parking lot in 2011 and commented on her daughter, who was sitting in her car seat. The man told her it would be "a shame if something happened to her mother” and that she should keep quiet about her 2006 alleged affair with Trump, Daniels said. At the time, she didn't report the incident to police. (Michael Avenatti via AP) This artist's drawing released by attorney Michael Avenatti, purports to show the man that the adult film actress Stormy Daniels says threatened her in a Las Vegas parking lot in 2011 to remain quiet about her affair with President Donald Trump. Daniels said she's speaking out now "because I'm tired of being threatened." "I'm done being bullied," she said. Daniels has been outspoken about the alleged affair with the president despite the non-disclosure agreement that was part of the payment from Cohen. She now faces a lawsuit of up to $20 million, according to papers Trump’s legal team filed in March saying that she has violated the terms of that agreement at least 20 times, which would amount to $20 million in damages based on the agreement’s $1 million penalty clause.